Before I start this article, I should first answer an important question. What is a Pizza chef doing on TastedAndRated? The answer is pretty easy: nowadays the pizza for many of us, is not only one of the most loved dishes around the world, but it’s also a dish that can be complimented well with some great wines. Yes, the stereotype that Pizza goes with beer is long gone, along with the idea that Pizza can only be made with the classic ingredients. 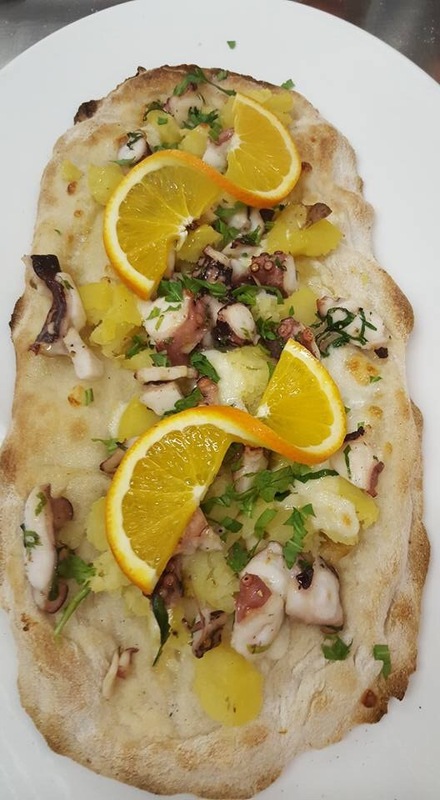 More chefs are creating Gourmet pizza’s and treating this simple dish as a platform for some very luxurious and fine ingredients. 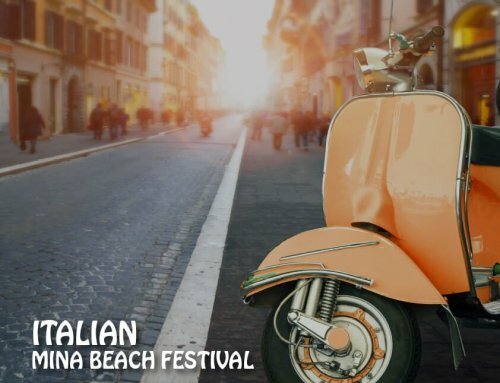 To help understand this evolution, we asked Gianni Di Lella, whose CV boasts the title of world champion of the 2015 World Fantasy Pizza context, and many other accolades. Like me, he knows the importance of this product and its marriage with wines. So we meet with Gianni who explains how his pizza is made, the strict guidelines he uses to make a great product in order for us to understand better the dough, and the ingredients of the toppings, which then make the perfect pairing with the wine. The dough: flour, yeast, water and time. The oven and its temperatures. The first ingredient is the flour and for many years we have been using type 00, however today we have an ability to explore different flours, as we want to attract different palates. To better understand this concept, it is better to explain some of the different types of flours that exist in the market, and Gianni selected the 5 Stagioni flours from Parma, Italy. Type 00: The most refined flour, it’s white in color, and deprived from the best part of the grain which is rich in fibers, the germ of the wheat, which is rich in minerals, vitamins, and amino acids so it’s mainly composed of starch and sugars. Type 1: This flour contains the whole grain, which is milled very fine. It’s an off-white color with black dots inside and has good nutritional characteristics. Type 2: Similar to type one in many ways, this type is milled thicker so has much more fiber components, that why it is almost a whole-wheat flour. The color is off-white with more black dots than type 1. Whole Wheat: The best flour for nutritional characteristics, as it contains whole grains, including the bran. The color is much darker than the others and has a much stronger bouquet of flavors and aromas. 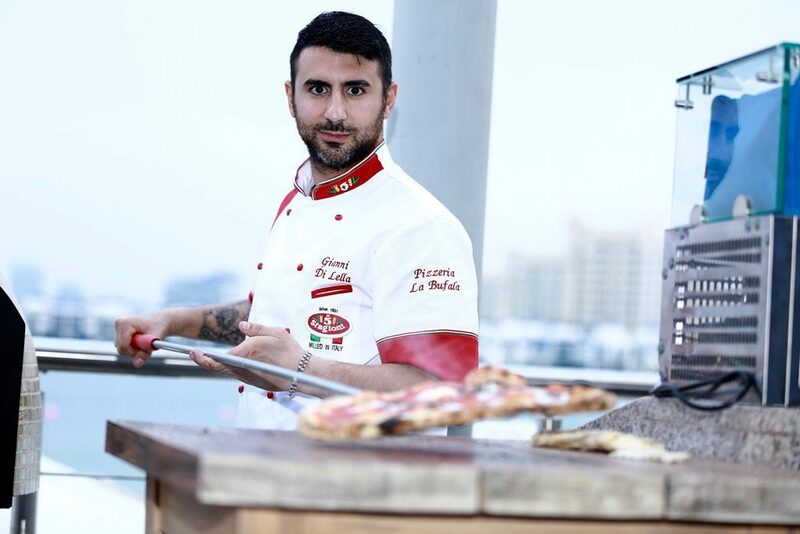 LUCA: It’s very important to know from which pizzas are made from which flours for pairing with wine as if the only flour used on the base is type 00 it would suggest that the dough will be sweeter than others. Whereas if the pizza is made entirely with the whole-wheat flour, it suggests that the dough will be bitterer than type 1 of type 2. Of course a blend of flours will have both sweet and bitter component. 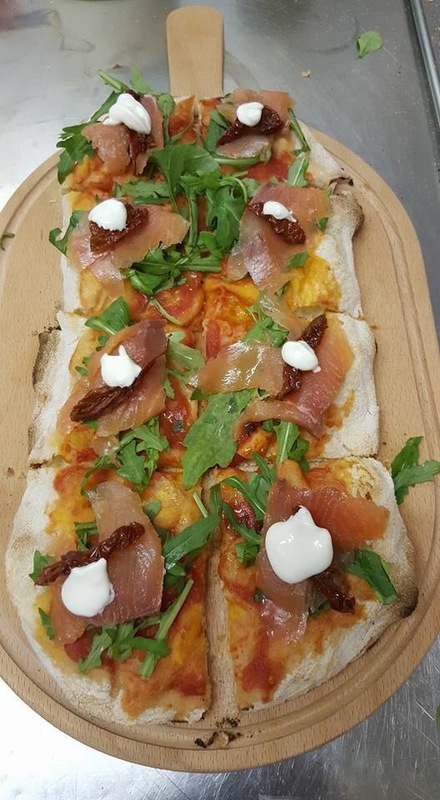 As per Gianni pizza uses a blend of flours, with the base a combination of 00, which gives elasticity to the dough, and adding the other types of flours to impart all the nutrition properties, flavors, and aromas in order to create the perfect dough of the so-called Gourmet Pizza. GIANNI: Once we have selected our mix of flours the next ingredient that is variable is the water. It’s variable because it depends on the humidity and temperature of the area. However, for a kilo of flour, I use around 600 grams of water. The water is the second most important ingredient as it’s vital when we cook the pizza as the water will evaporate and it will make the pizza much lighter and crispy. The temperature of the water is very important is also, as the warmer the water, the faster the rising process will start. Before we add water to the flour, we add the yeast to the water. The yeast comes in different forms and typologies. The main types are the beer yeast and the culture yeast (called natural yeast, however, both are natural). The difference between them are that while the beer yeast is made out of a single micro-organism, the culture yeast is made from different type of micro-organism, so the pizza made with this yeast will develop richer flavors and aromas while making it more digestible. There are 2 more ingredients before we start the preparation of the dough, one is the salt, around 30 grams for a kilo of flour, and this is usually one ingredient that is always a certain amount of. The salt should be dissolved in 10% of the water and added just before the last minute of the kneading, this is because it’s an inhibitor of the yeast. The second and last ingredient is the fat that can be extra virgin olive oil. This last ingredient should be avoided if the pizza is cooked at a high temperature, as the oil will definitely burn before the pizza is ready. One of the reasons the olive oil is used for pizza is because it keeps warmer for a much longer time. After all that the ingredients are kneaded. We make sure that we don’t overdo it as if that happens, the dough will lose it’s elasticity and if this happens, then the carbon dioxide will not blow the dough during cooking time and penetrate the heat internally which will not cook the pizza well. When the pizza is not well cooked, then it will be heavier to digest. Of course the all process described earlier will need to be perfect in order to cook the pizza well. Once the dough is ready you will hear the first farts (yes that’s right, the same type of sound) we shape the dough into small balls of 280 grams, and we wait 10 minutes so the yeast can start the process of levitation. Soon after, we place the dough in the fridge for a minimum of 24 hours. Once we remove it from the fridge we wait for the dough to reach room temperature before shaping it to a pizza and cooking it in the oven. 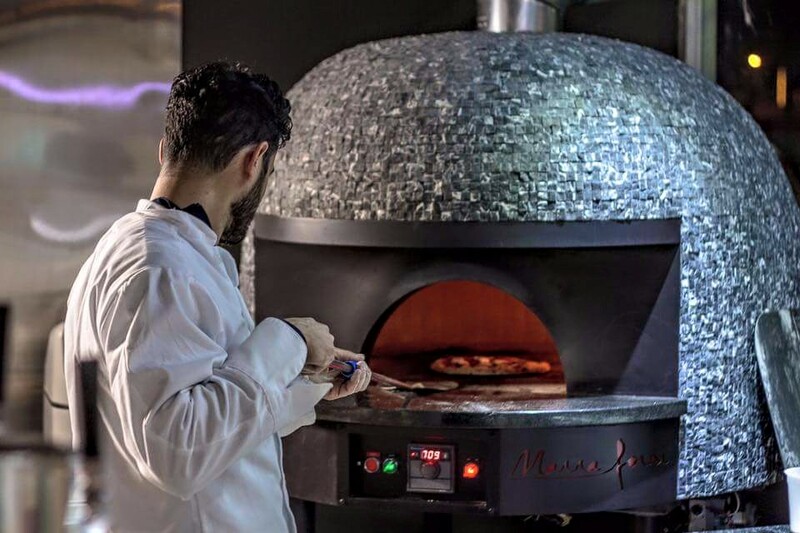 LUCA: To understand better the oven and it’s temperature, we have asked Marra Forni, the leader in this field to better explain the different models they have to help the pizza chef in delivering the best product possible. The Marra Forni line offers a complete pizzeria solution that is unmatched on aesthetic and technical fronts. The Neapolitan artisan that represents the third generation of oven makers finishes each oven; the ultimate goal is to give the exceptional quality that Italy is known for. Every oven is custom built and tiled to order. We have selected Marra Forni because it has innovative brand technology for the pizza oven, an air burner and an LCD touch screen that delivers the best quality of pizza. 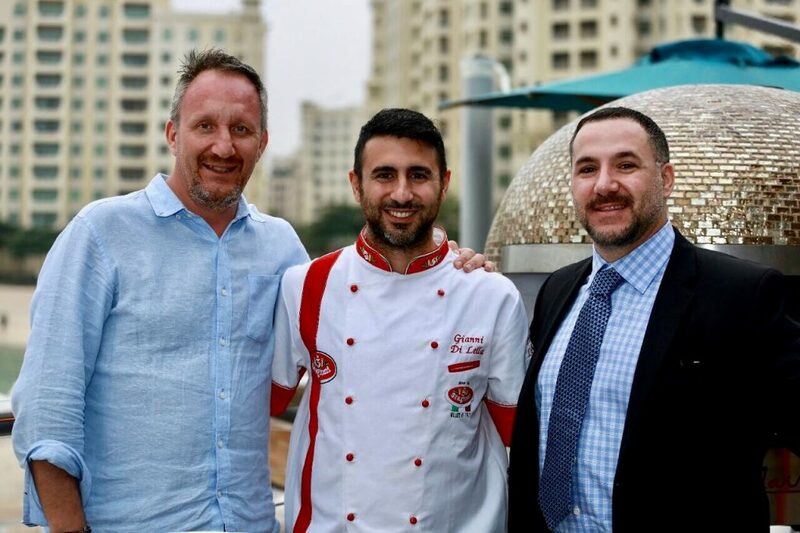 We met the representative of Marra Forni, Diego Fioraldi, during the Gulf Food exhibition here in Dubai and we participated in one of his events at the Breeze Beach Club on Palm Jumeirah where they have hosted the Pizza Gourmet Dubai. During this event, they showcased the different pizzas with high-level ingredients and toppings. DIEGO: Today there are many different types of the pizza oven to fulfill all the requirements of the pizza chef, based on their utility. The main different types of ovens are the classic wood-oven, electric and gas. Many people consider the pizza oven the best, however, it’s not as important that those ovens are made in a certain way in order to cook the pizza from underneath, and not from the top. In order to achieve that we rigorously use volcanic stone from the Vesuvio area which will keep the temperature high in the oven. The reason you need to cook the pizza from below is that those types of stone absorb the humidity of the dough so they cook faster without burning the toppings. Thanks to our blend of traditions and technologies we are able to cook the pizza between 60 and 90 seconds. With the temperature between 400 and 450 degrees, first the yeast completes its job with the carbon dioxide by raising the part of the rim, then when the pizza reaches 60 degrees the yeast dies and the rim stops rising. The second stage is the caramelization of the sugar on top of the rim. When the pizza touches the 90-degree mark then all the water contained in the dough will be evaporated and at this point, the pizza is cooked, friable, soft, easy to chew and to digest. LUCA: Now that we have understood how to make a great pizza, which is the organoleptic characteristic, and tried many different combinations with the wine we can definitely conclude that wine and pizza go great together as the dish has great complexity even when we taste a simple pizza like the Margherita. 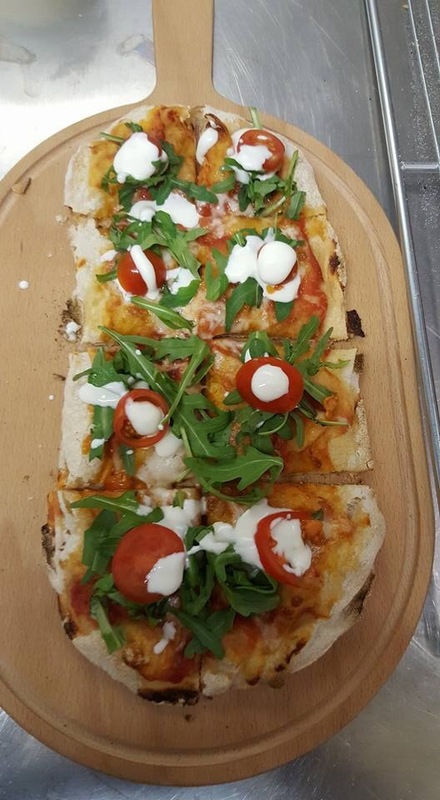 During our tasting, we found that for simple pizza like the focaccia style with rosemary and salt, or tomato’s with capers and anchovies or a simple margherita, wines with high acidity work very well with the crunchiness of the dough, the acidity of the tomato and the fat of the mozzarella. We have found that the best wines to compliment the above pizzas are of course white wines with a medium body such as Gavi di Gavi from La Scolca and Fiano di Avellino from Mastroberardino. The classic tomato based pizza’s such as 4 stagioni, prosciutto e funghi and capricciosa work well with Sangiovese-based wines such as Chianti Classico from Castello di Albola, and Barbera of Oltrepo Pavese from Dino Torti. The more the complex the pizza gets due to the topping, the more the fun begins with the wines as there is multiple choices for a divine marriage depending on personal taste and preference. However we found one wine that everyone loves with Gourmet Pizza, and this wine is the quality Lambrusco Concerto of Medici Ermita. It works well because it perfectly compliments the crunch, even with heavier toppings, gives an extra dimension of freshness through the bubbles and high acidity, plus, bubbles also help digestion. Our grandfathers were right! In the 80’s and 90’s a good Pizza was always followed by a good Lambrusco, or in Napoli, the city where the pizza was first made to feed most of the poor people, the wine that always was on the table was the Gragnano, another product made by poorer communities from the Sorrentina peninsula. It was drunk while the wine was still fermenting, so with their natural bubbles of first fermentation. 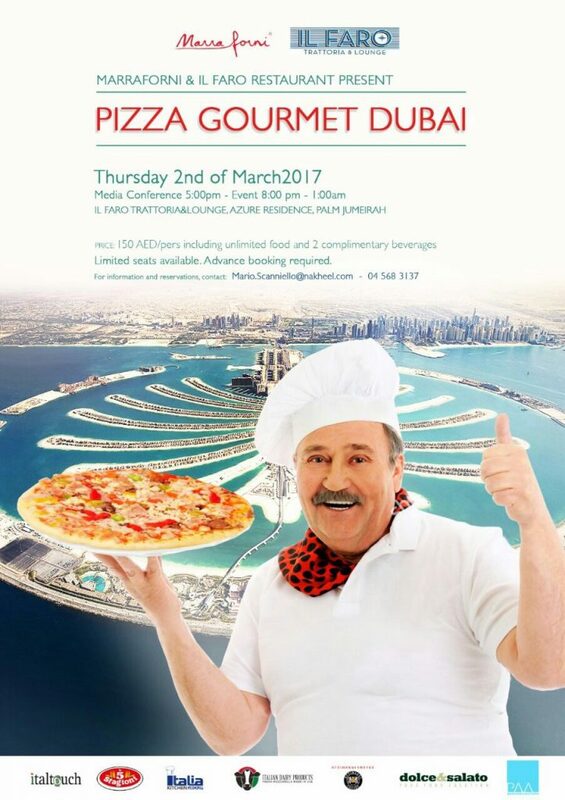 Coming soon, TastedAndRated will be organizing Pizza & Wine Festival across Dubai and UAE, stay tuned.